In June Bose announced the SoundLink Mini II Bluetooth speaker, an update that kept everything we liked about the original speaker, while adding some much-needed features and tweaks. Today the company has laid out another upgrade in the same vein, this time to its SoundLink headphone lineup, unveiling the new SoundLink Around-Ear Wireless Headphones II. The design of the SoundLink Around-Ear Wireless Headphones II is based on the company’s QC25 noise-cancelling headphones released last year. Unlike that pair of headphones, which relies on a AA battery, these use the more common built-in rechargeable battery, which offers up to 15 hours of playtime. A 15-minute rapid charge will get you up to two hours of playtime, so it’s easy to charge up before heading out as well. NFC is provided for easy pairing, and controls are provided on the ear cup. Voice prompts come in 11 different languages to tell you things like what device you’re connected to, who’s on the other end when you receive a call, and how much battery life you have left before you need to charge up again. While sound quality for music and other media is obviously a top priority here, Bose has added a number of features to improve the quality of calls made using the headphones. HD voice is supported, and built-in microphones allow the volume of calls to be changed depending on the level of noise in the environment around you. As for performance, the headphones boast some DSP designed to optimize the listening experience, including “active equalization,” and “volume-optimized equalization” the latter of which is designed to provide clear detail even at low volume levels. One thing the wireless cans don’t have is noise-cancellation, something increasingly common in wireless cans these days, and a staple for the Bose brand. Perhaps we’ll see that added in the next evolution. 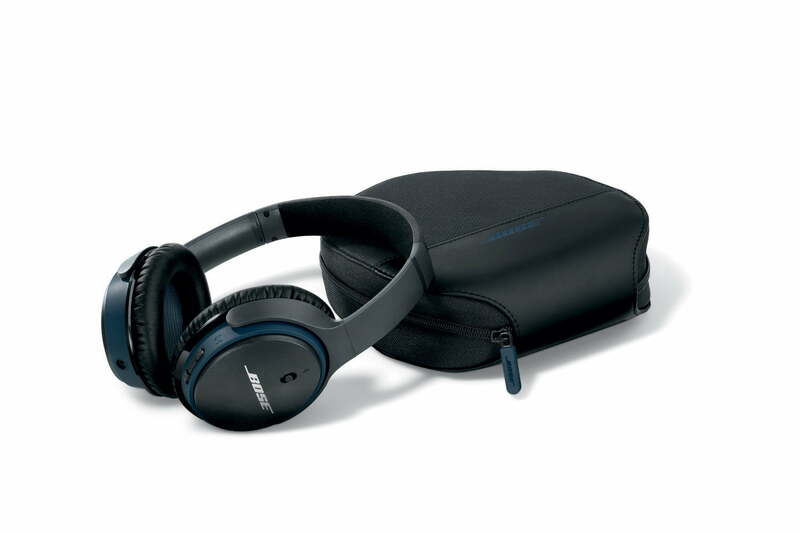 The Bose SoundLink Around-Ear Wireless Headphones II sell for $280 and are available starting today from Bose’s website as well as other authorized retailers.